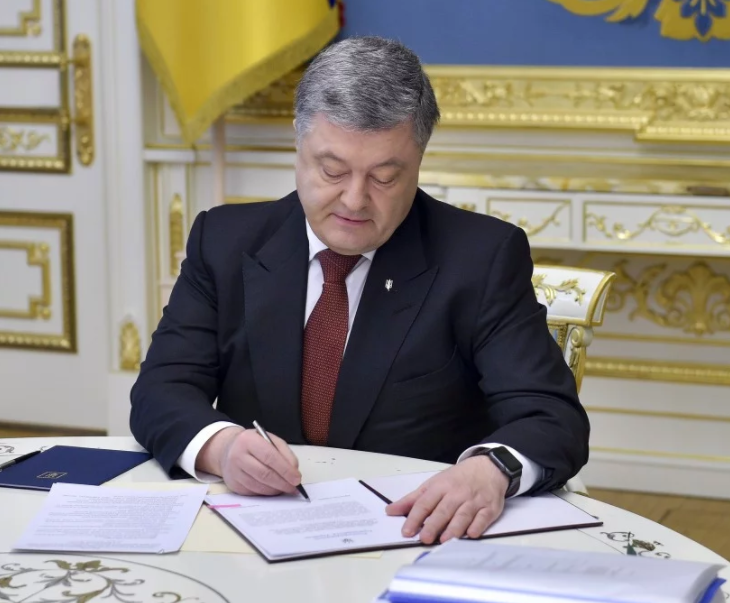 Ukraine’s President Petro Poroshenko awarded Jaber Al-Mubarak Al-Hamad Al-Sabah, the Prime Minister of Kuwait, Abdullah bin Nasser bin Khalifa Al Thani, the PM of Qatar, with a presentational firearm, as it was noted in Poroshenko’s decrees as of March 15 and 16, the copies of which are presented to the Ukrainski Novyny at the President’s Administration request. The Presentational Fire-Arm, the President’s award, is a Fort-12 9-mm pistol with 16 bullets of ammunition establishment. “The frame of the pistol is produced out of the construction steel, the handle – out of precious wood, the external details are decorated with an artistic ornamental cut and the name of the awardee is engraved on the plateб” the message says. The PMs of Kuwait and Qatar were awarded for their strong personal contribution in the development of the bilateral interstate relations. Besides, according to the statement on the Presentational Fire-Arm Award, the officers of the Armed Forces of Ukraine, Border Guard Service, other military organizations, created in accordance with Ukraine’s legislation, Security Services of Ukraine, the departments of the Internal Ministry and civil servants, who have an officer rank, can be awarded. The individuals mentioned above can be awarded for personal achievements concerning Ukraine’s defensive capacity, its territorial integrity, the military alert of the troops, the strengthening of the national security, struggle with crime, the protection of the constitutional rights and freedoms of the citizens, for the honorable long-term service, the exemplary performance of their military and service duty, for expressing honor and dignity.